Stripes are at the top of hit list this season girl. 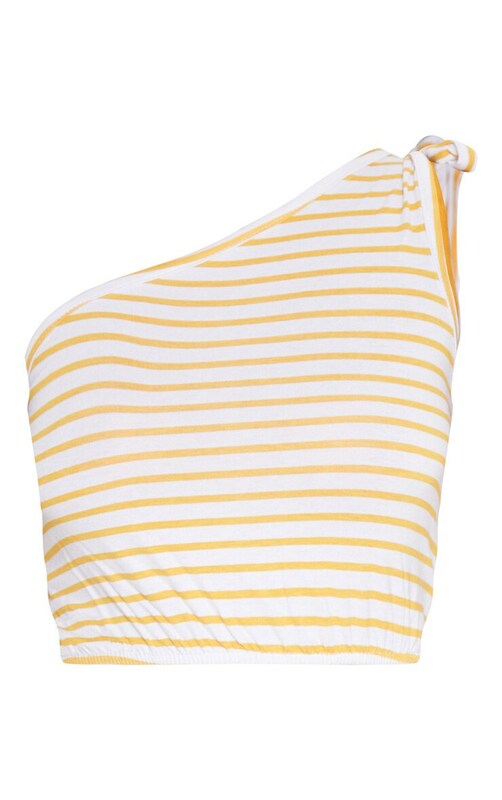 Featuring a soft jersey material with a mustard and white stripe design, a one shoulder design and an elasticated waistband. Style this crop top with a denim skirt and resh kicks for a summer loving look.